Check out this week's deal! You have no items in your favorites. A trio of overlapping clusters, composed of bright and sparkling high-quality round brilliant-cut diamonds, create a seamless flash across your/her finger in this blazingly beautiful band ring rendered in 18K yellow gold. 1 carat total diamond weight, currently ring size 6. Most rings can be resized up or down one size unless noted and sometimes more. Sizing is included with your purchase. Most rings can be safely sized up or down one full size and sometimes more. Sizing takes about two weeks. Some rings are not able to be sized and will be noted as such. Leave your size requirements below. *Payments as low as $113.04 per month. This example payment is based on the listed product price of $2,450.00 assuming a 24 month term loan and a 9.99% APR. Your terms may vary and are subject to credit approval. Rates range from 5.99% to 29.99% APR, resulting in, for example, 24 equal monthly payments of $45.22 to $55.91 at 7.99% to 29.99% APR per $1,000 borrowed. Bread® loans are made by Cross River Bank, a New Jersey Chartered Bank, Member FDIC. 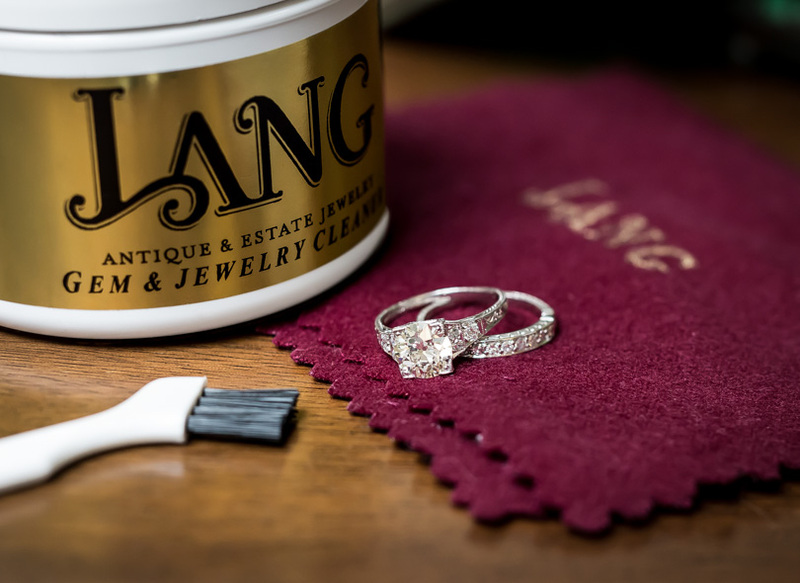 Each piece of jewelry at Lang is carefully cataloged by our expert GIA Graduate Gemologists to document all gemstones, hallmarks, method of manufacture and materials. A point of sale report is provided upon purchase. 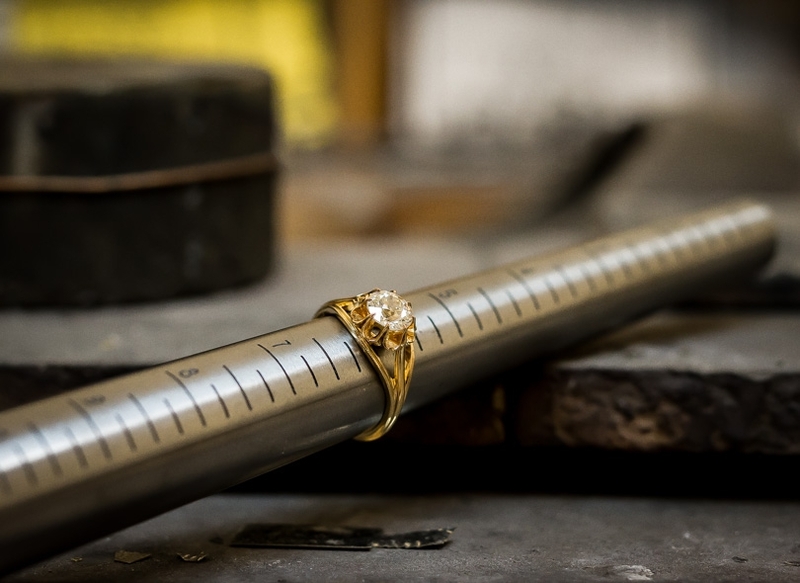 The first sizing is complimentary; most rings can be adjusted by one size unless otherwise noted. They’re called “classics” for a reason—these timeless styles defy age and era. 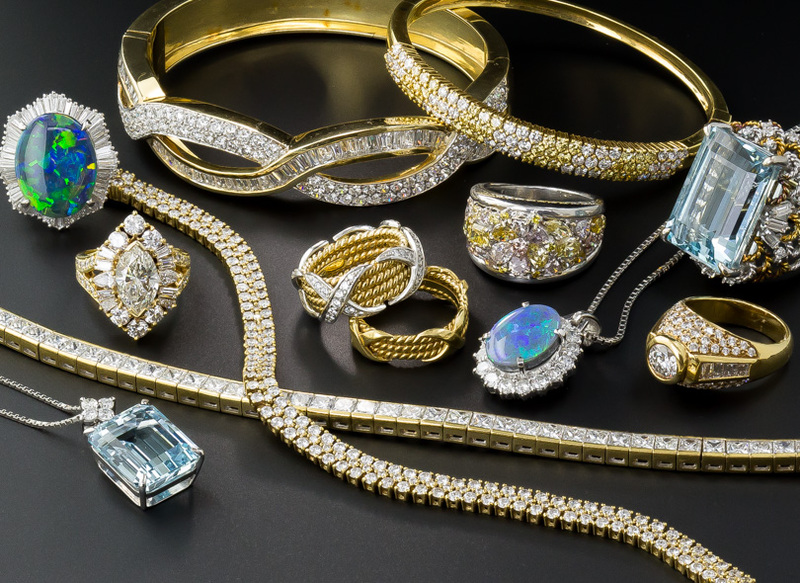 Keep your vintage and antique jewelry happy and healthy through its next lifetime.